John Wesley Shinault (1/28/1924-6/7/2018), 94, was the third son and fourth of eleven children born to Wesley John Henry Shinault and Fannie Mae (Leach) Shinault in Booneville, MS.
During John’s childhood, his father rented farmland where he grew and sold several cash crops. He attended the Colored Schools of Prentiss County and advanced to the tenth grade. At this time, as he was nearing age 17, the United States Naval Base was attacked at Pearl Harbor, HI. 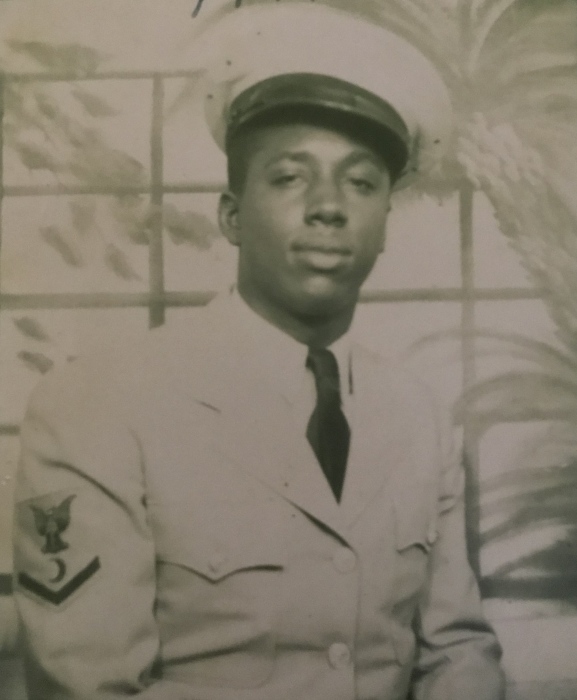 John felt the patriotic call of duty and enlisted in the U.S. Navy where he served two years, nine months, and eighteen days on active duty in the Pacific Theatre, World War II. He was honorably discharged from the Navy in January 1946 at Memphis, TN. From there, he returned to Booneville by train where he arrived in the night and asked a workman at the depot for directions to the Shinault Farm. With financial help from his three military sons, his father bought a 450 acre farm. John set out on foot and walked three miles east of town and reunited with his family. Farming was the family enterprise. They planted, harvested, and sold cotton, corn, soybeans, sugar cane, and sweet potatoes. They raised and kept a variety of livestock: chicken, pigs, sheep, goats, cows, horses, and mules. To the labor pool in the early 1950s, they added a John Deere tractor. In 1948, during a Memorial parade in Booneville, John impressively wore his dress white uniform and marched through town with a military phalanx. His sister Mildred, sensing a possible match, introduced him to Juanita Grace Marquette. In less than a year, they were married, a union that lasted for 70 years. Four of their seven children were born in Booneville. After which, he moved to Joliet in 1954 and found work. His family followed soon after in 1955. To support his family, John and Juanita worked a variety of jobs. Within five years of his arrival in Joliet, he settled into janitorial work until he retired in 1989. In Booneville, he was originally a member of Osbourne Creek Missionary Baptist Church, a church that his father helped found. 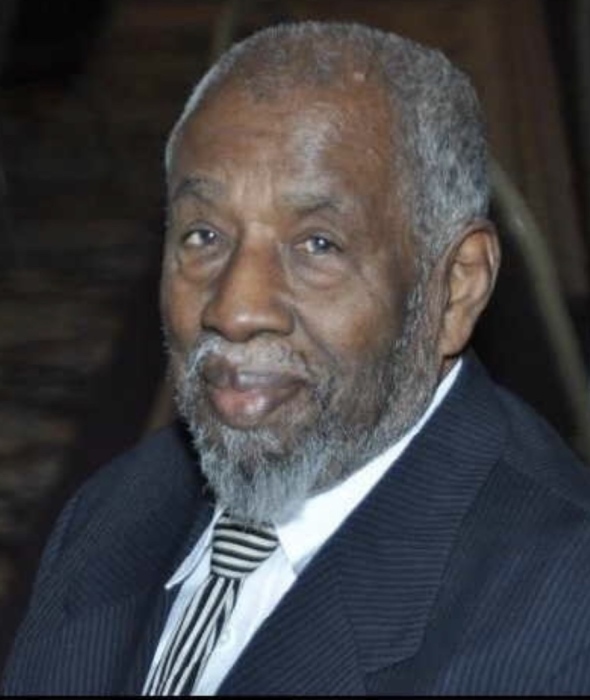 In Joliet, he was a Trustee Emeritus of Brown Chapel A.M.E. Church. John Wesley Shinault is survived by his wife Juanita Grace Marquette Shinault, seven children, sixteen grandchildren, nineteen great-grandchildren. He was fruitful and he multiplied. Funeral Services will be held at Brown Chapel A.M.E. Church on Sunday, June 17th. The wake is at 4:00 pm. The funeral is at 6:00 pm. The Burial will be held June 18th at 10:30 am at Abraham Lincoln National Cemetery.